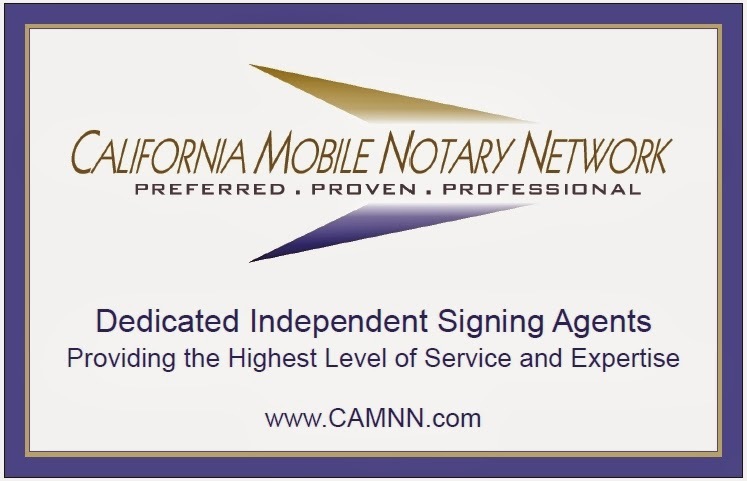 "I’ve been in the mortgage industry for over 18 years. Having held nearly every position in the loan process from start to finish, including executive positions, I’ve found that there is nothing more rewarding than working directly with clients to help them achieve their home financing goals. Clear and consistent communication throughout the process as well as being available to my clients (yes, even weekends!!) has been the foundation for my success. Navigating through the many loan choices available and the every changing guidelines can quickly become overwhelming for most. My goal on every transaction is to educate my clients on the best options available given their scenario, navigate them through the process, establishing expectations and then surpassing those expectations in the end. I also pride myself on being able to “run” as fast as the client wants/needs to on a transaction. Whether it’s a standard 30 day escrow or a faster close of escrow is needed, we outline a plan to get it done! I look forward to being your long term mortgage professional!" Ticor Title showed a strong third quarter with everyone knowing that the transition from a refinance driven market to a purchase driven market was a reality. They achieved nearly the same margin of 2012 despite 15% decline in closed orders. How to avoid costly delays. - Find out with your bank about wire limitations or account restrictions. If your bank has a daily limit you may not provide the necessary funds to close. - If funds are to be deposited into the seller's investment account: Be sure to bring full account information. They also provided a useful information regarding your stolen identity. Place an initial fraud alert on your credit report. Order your credit reports. Create an Identity Theft Report. 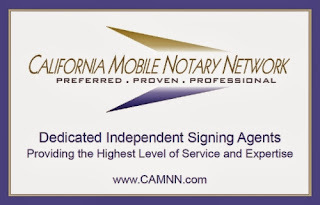 Should Notary Signing Agents provide a summary of steps to take to protect your confidential information at the time of a signing? Mortgage Loan Officer - Loan Originator JOB. Carrington Mortgage Services, a fully integrated mortgage company with mortgage lending, servicing operations and an affiliated real estate brokerage is currently hiring Licensed Mortgage Loan Officers. We service approximately $16 billion in mortgages and are licensed to arrange financing in a majority of states in the U.S. Think you have the experience and talent to be a top producer? 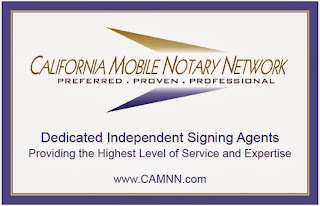 Then Carrington Mortgage Services, WANTS YOU!Our Real Estate Affiliate lists and sells retail & REO properties for Carrington Mortgage Services. These REO’s generate 5+ pre-qualifications and purchase leads. · We have a 25 Day Guarantee! · Competitive pricing, no hidden fees or margins. · Our own Real Estate Affiliate. · Paperless loan file flow and process. · Service level commitments for all support functions. · A choice of having processing in the branch or at the corporate office. · Our loan officers work with Multiple Loans Programs as we are a DIRECT LENDER. We can portfolio products, do correspondent, or broker. · We Have REO Leads, Purchased Leads, and our own RE Team. · We own 15 companies including a Atlantic Pacific Real Estate (real estate sales), Servicing, Escrow, REO’s. · We are opening 70 more branches this year so there is also tons of room for advancement. · Stability. Carrington is not just a mortgage lender. We are part of Carrington Capital, a Billion$$ Asset Manager. · Company Laptop and IPhone Provided. · Expense account for most of your business to business expenses including business lunches, membership in business organizations, Open House or seminar expenses. The company will also support and offset your efforts in sourcing business! · Competitive benefits package including, medical, dental, vision and much more. · 2+ years of mortgage lending experience preferred. It’s hard to forget the effect the real estate market crash had on many people during the recession, which is why so many myths and rumors continue to permeate this industry. Interested home shoppers tend to buy into five top myths, but if you dig a little deeper, you will quickly realize that there isn’t much truth to these rumors. Here, we explain the top five real estate myths! Dinged Credit Will Prevent a Mortgage Approval: Buyers with less-than-perfect credit are usually hesitant to sit down with a mortgage broker and discuss their options because they’re confident the answer will be a resounding: “NO!” Not the case though. Lenders are more willing than ever to work with interested buyers, realizing that many were hard-hit during the economic downturn in the way of job loss, foreclosure and so forth. Don’t Start House Shopping Until You Have 20 Percent In the Bank: A 20 percent down payment became the magic number during the housing crisis, but it’s not necessarily the amount you need to purchase a new home. There are a variety of loans out there that require considerably less than 20 percent down, and speaking with a lender is the best way to apprise yourself of what’s available and what you qualify for finance-wise. To Save Money, Forget Working With a Realtor: Unless you have your real estate license, the small amount of money you would save from eliminating a real estate agent is definitely not worth it. Real estate agents are adept at negotiating on your behalf, working through contingencies, communicating with the seller on your behalf, and working through the tall stack of paperwork that a real estate purchase requires. Plus, it’s more common than not for a seller to pay their commission anyway. Don’t Delay, Buy Today: Frenzy is a word that many have used to describe the national real estate market in 2013. As prices pushed higher and many markets saw bidding wars, buyers were prompted off of the sidelines to get in the game. But buying a home is a big decision and you need to make sure you’re ready for the commitment. Just because everyone else is buying does not mean that today is the right time for you. financial markets. The stock markets were not really overjoyed at the Fed’s newly stated position. Stock prices fell after peaking at new record highs for a few of the primary stock indices earlier in the week. levels, the delivery rate (DR), in spite of a paucity of meaningful econonews releases. Some of the econonews releases of this past week included September pending home sales falling by 5.6% relative to August. Not a good omen for the fu- ture of home sales. The Case-Shiller home price index reflected a slowing of the pace of price appreciation. than a footnote in one release. Retails sales for September fell by 1/10% and this is worrying retail organizations for the upcoming holiday shopping season. Inflation on the wholesale and manufacturing levels fell by 1/10% while consumer level inflation rose by 2/10% with the core rate up only 1/10% allevi- ating some of the market’s inflation concerns. the economy needs some stimulus to get back on track The stimulus we are referring to is the Fed’s monthl purchase of $85 billion of US Treasury instrument and mortgage-backed securities (MBS-the stuff tha determines the DR). enough fundamental data to turn the tide back in the direction of a downward glide path for home loan rates, but... Stay tuned. We are seeing a surge of private capital coming into the housing sector. This is a great turn of events.